Do you have a passion for dance and yoga/pilates exercise? Have you ever wanted to teach? If so, our Barre Fusion Certification Program is perfect for you! Right now at Zenya Yoga and Massage Studio, certification courses are available for all who would like to instruct! For those who don’t know what Barre Fusion is, it is a workout that blends the worlds of classic ballet and dance. Barre Fusion also features elements of pilates and varieties of yoga poses. This is good news for anyone with a background primarily teaching yoga or pilates! Barre Fusion is almost entirely performed at the barre or ballet “bar.” At the bar, your workout schedule will primarily involve training students to hold stretches and poses for extended periods of time. By using ballet as an element of the workout, you’ll train your students’ bodies to adopt a ballerina-like posture and poise. With holding certain poses, students will see almost immediate improvement in their muscle development. Lastly, by incorporating dance routines into their workout, each body will loosen and their agility will improve—with you to thank for it! Is Barre Fusion for everyone? Barre Fusion is for all who enjoy the techniques of dance, and care to increase both balance and core strength. There is no age limit to the workout, and the classes adjustable to the abilities of any participant. This will be up to you to determine the level at which your students exercise. There is no pressure to the workout, simply allow each student to complete every pose at their own pace. Much of the success of the course can be seen over time, as it gradually strengthens the torso, upper and lower body. When working out with barre fusion techniques, the whole body is utilized. Specifically the core, the upper, and lower body. By using methods of fast movement, stretching and flexing, your and your students’ bodies will gradually become strong and sculpted. Most people don’t like to work out because fun has been taken out of daily exercise. With barre fusion, working out is mixed with fun dance moves and calming stretches. Barre fusion is a workout that not only works, but allows you to relax the body. By combining the best of all these worlds of activity, a new and exciting way to workout has been created. As an instructor, you will be responsible to show your students this new way of exercise and bring joy back into healthy living. Becoming certified in this practice is extremely rewarding, not just for your body, but for your conscious. Everyday you will be helping others live a happier, healthier lifestyle. Do I need to be trained in ballet? Absolutely not! 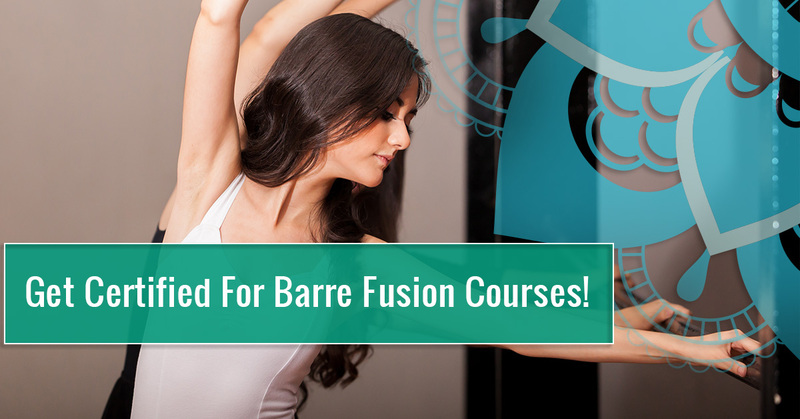 You don’t have to worry about being classically trained in ballet to enjoy barre fusion. It is important to remember that barre fusion is ballet-inspired, not ballet. Though there are elements of ballet, in no way is it intensely ballet focused. Within the class you will teach proper ballet positions to stretch the legs and glutes. But don’t worry, no pirouettes or lifts here! However, though you do not need to know ballet, within your certification program you will be taught proper body alignment principles that will then be shared with your eventual students. If teaching a blend of dance, yoga, pilates, and cardio interests you, sign up for our certification programs! If you are in the Newport, Virginia area, visit Zenya Yoga and Massage Studio online!